Carolyn Laurie Kane (born June 18, 1952) is an American actress and comedian. She became known in the 1970s in films such as Hester Street (for which she received an Oscar nomination) and Annie Hall. 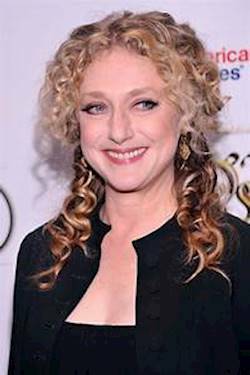 She appeared on the television series Taxi in the early 1980s, as Simka Gravas, the wife of Latka, the character played by Andy Kaufman, winning two Emmy Awards for her work. She has played the character of Madame Morrible in the musical Wicked, both in regional productions and on Broadway from 2005 to 2014. From 2015 to 2019, she was a main cast member on the Netflix original series Unbreakable Kimmy Schmidt, in which she plays Lillian Kaushtupper.